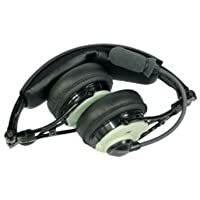 Twenty years ago the buying decision of an aviation headset was much easier that it is now: you either bought a David Clark or a cheaper set that did a similar job but was coupled with lower quality. Taking the fully-optioned package meant getting gel-filled ear seals, well before ANR headsets. 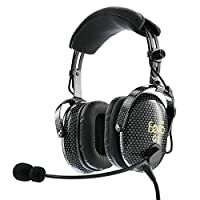 But technology marches lock-step with time, and today an aviation headset is a tool that integrates with the aircraft’s systems to produce a total operating environment for pilots, and as a result, there are a lot more things to consider. Most of the new technology has manifested itself at the high-end of the headset market, where systems like Active Noise Reduction (ANR) aka ANR headsets, Bluetooth and WiFi are becoming standard features, and materials development is making units lighter, stronger and more comfortable. That’s not to say that Passive Noise Reduction (PNR – a term for a headset without ANR) units have stagnated, but that the big moves are all at the high end. Even in the past five years, new headset types have emerged that add capability like connecting to iPads, tablets and smartphones of most descriptions. As connectivity advances, so does headset capability to match it. As a result, those in the market for a new advanced ANR headsets have a lot of things to consider. We hope our guide to the latest ANR headsets will help you make your decision. David Clark’s DC One-X series is a departure from the well-known DC design. The ear cups are smaller and the headset is lighter than the classic H10-13.4 synonymous with DC. Noise attenuation is courtesy of technology DC calls Hybrid Electric Noise Canceling. This system uses both internal and external microphones to detect and cancel incoming noise, whereas most ANR headsets use only an internal mic. Bluetooth capability enables connection to mobile phones, iPads and other personal devices. Handily, the DC One-X also folds up into a very compact size, so it occupies much less space in your flight bag. The DC One-XP is also available, with a six-pin plug to connect to the aircraft’s panel and intercom, and electrical system. The DC Pro-X is an almost tiny rest-on-ear headset that relies on the ability of the Hybrid ENC technology to provide noise attenuation. The styling would not look out of place in the cockpit of a B-17, but the comparison goes no further; the Pro-X contains all the advanced features of the best David Clark premium headsets. Bluetooth, fail-safe communication, comfort and durability all feature in a headset that weighs only 238g. An XP model that connects directly into the aircraft panel is also on the market. Despite the fact that it sits on your ears rather than the side of your head, reduced clamping force means that it’s not uncomfortable. 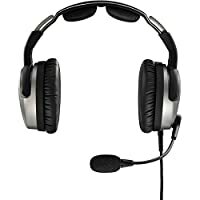 The DC H10-13.4 passive headset is one of the most trusted and desired headsets on the market. What David Clark has done now is make it better with the addition of Hybrid ENC. 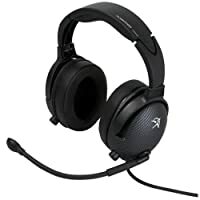 The result is a great headset that is now 17-23 decibels quieter. All the other features expected in the passive version are there: padded headband, electret microphone, gel-filled ear seals and combination flex/wire mic boom. However, this combination does produce an ANR headset that is heavier that most, but it is one of the best value units available on the market. Bose’s A20 combines ANR technology with comfort and state-of-the-art materials to produce a stylish headset that is often considered the pinnacle of headset technology. At 340g, it is one of the lightest around, and offers a 30% noise reduction and 30% lower clamping force over conventional headsets. With a Bluetooth audio and communications interface that includes a priority control and a high-performance microphone that can be connected to either ear cup, the A20 captures most of the features available in any premium headset. 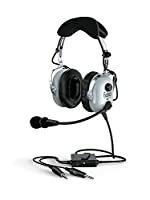 EQ1 was one of the pioneers of wireless headsets in cockpits. The EQ1 uses a unique wireless protocol to connect the headset to a dongle-like link that plugs into standard jacks. The computer processing unit (CPU) demanded by ANR technology and the battery are contained within the ear cups. If correctly paired, more than one headset can function off the same link. Functions and warnings are controlled via a knob on one ear cup, and by listening to “Audrey”, a voice that advises you of status and provides battery life and warnings. Because of the need to contain the battery and CPU within the ear cups, the EQ1 Series 3 is a bit heavier than most ANR headsets. A great option if you like the “untethered” feeling. Faro’s G2 ANR is another headset that combines the strengths of passive and active noise reduction to give pilots a quieter ride, up 52 decibels quieter according to the manufacturer. This unit looks identical to its G2 PNR cousin, but the CPU connected in line, with the cords is the giveaway to the presence of ANR. Like the passive version, the G2 ANR has a padded headband and a flex mic boom. The ear cups included faux-leather ear seals compared with the standard silicon types fitted to the G2 PNR. One advantage of this unit is that it still maintains good passive characteristics when the ANR batteries have run out. The G3 ANR is a class above the G2, boasting carbon-fibre ear cups that have good passive qualities without the higher weights usually associated with most passive designs. Inside the ear cups are premium quality speakers and according to the company the ANR is rated at 52 decibels. Bluetooth connection for audio and other comms is standard, as is the Audio Priority mode that mean s radio calls will cut across other Bluetooth devices. The headband has a padded cushion and the ear seals are faux leather, and the mic boom rotates through 360°, so the headset can be worn without the cords draping across the wearer to get to the jacks. 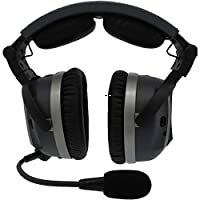 Flightcom’s Venture V50ANR is a basic active headset with good passive and active noise reduction, totalling up to 42 decibels. The onyx-look ear cups have shallow speakers in them and PVC ear seals, which, when combined with the air-pillow headband cushion, add comfort for the wearer. The V50ANR can be switched between stereo and mono, and has an electret mic mounted on a flex boom. Flightcom’s Sure Power system shuts off the ANR to preserve battery life if no audio has been detected after 20 minutes of use. The Venture V90ANR is a step-up from the V50ANR, offering mobile phone and MP3 connectivity and a range of other upgrades. The ear seals are faux leather rather than PVC and the headband cushion is polar fleece, which is more comfortable for extended time and absorb perspiration better. Flightcom estimates the battery has a life of 50 hours compared with the 20 hours of the V50ANR. Just to be sure, the Sure Power system is also fitted to the V90ANR to help extend the life. A nice looking headset with that carbon-fibre pattern on the ear cups. Flightcom’s Denali (Athabaskan for “the great one”) D50ANR and D90ANR are lightweight ANR headsets that have a bit of style about the design. The carbon-fibre ea r cups house hi-fi stereo speakers with dual volume control knobs. They return passive noise dampenin g of 24 decibels, with a further reduction of 18-20 decibels for the ANR. 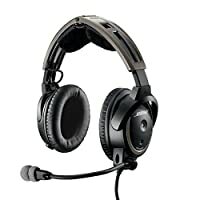 The ear seals are the classic faux leather that is becoming the norm with premium headsets. The D90 also has mobile phone and MP3 connections, which the D50 doesn’t have. The D90 also has a slimline battery sleeve that houses two AA batteries that give an average 50 hours of life. By contrast, the 9V battery in the D50 is limited to around 25 hours on average. Although the Sierra sits at the bottom of Lightspeed’s ANR range, it is hardly a basic headset. The Sierra’s larger ear cups and plush seals distribute clamping force better, and along with the padded headband add to the wearers comfort. Lightspeed has given the Sierra full connectivity to phones and devices via both Bluetooth and auxiliary input, with a ComPriority systems that enables radio calls to cut over the phone other device in use. The Sierra is a stylish, modern headset with a reversible mic, something that is missing in other, more upmarket ANR headsets. The Sierra is also compatible with Lightspeed’s FlightLink app. One of very few wireless aviation headsets on the market, the Tango contains a lot of innovative technology. The headset connects to a dongle-like link (Panel Interface) that connects into the headset jacks via a special connectivity protocol that is neither Bluetooth nor WiFi. Uniquely, the Tango contains rechargeable Lithium Ion batteries that deliver 12 hours of operation. There are two batteries: one for the headset and one for the Panel Interface. And even if you do forget to charge, the Panel Interface also stores back-up cables to enable you to keep using your headset. The ear cups and seals are similar to the Sierra in that they spread the clamping force over a wider area and have plush ear seals. Throw in a robust, stylish headband with a cushion and you have a very worthy ANR headset, but without the tangling cords. Nearly 100% of the Lightspeed Zulu 3 is stainless steel and magnesium, which tells you the manufacturer is very serious about durability and strength. The plush ear seals are larger than most ANR headsets in this class, so it’s a very comfortable fit with clamping force spread over a wide area. Lightspeed has developed a cross-feed sound system for the Zulu 3 called Front Row Center, which gives the wearer the impression the audio is coming from directly in front. 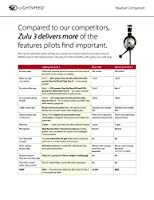 The Zulu 3 also has specially-design mics that enhance the ANR to give one of the best total sound environments on the market. The cables are built around a Kevlar core and have rope-like properties, which mean they are lighter than conventional cables and much easier to handle in the cockpit. Full Bluetooth and WiFi connectivity is standard. Lightspeed’s Zulu PFX is a technological cut above every other ANR headset on the market. As well as the strength, durability, style and functionality that the aviation industry has come to expect from Lightspeed, the Zulu PFX also has the ability to tailor itself to the actual wearer. Using technology called Streaming Quiet, the PFX continuously adapts to the changing noise environment, extending the noise cancelation as needed. It also maps the shape of the wearer’s ear cavity then optimizes the audio response to provide the best ANR for that person. The PFX also has full Bluetooth connectivity and is compatible with Lightspeed’s FlightLink app. Like the Zulu 3, the PFX also has the Kevlar-cored rope cables. 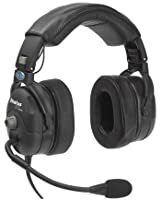 Telex’s Stratus 30 provides wearers with up to 42 decibels of total noise reduction. The ear A cups pivot in two planes to make sure they seal better on the side of the head, and the clamping force can be adjusted to make sure they fit more comfortably. The mic boom rotates through so it can be placed on either side of the head. Connectivity to mobile phones, CD and MP3 players is via auxiliary jacks. Auto shut-off kicks in after 15 minutes of low or zero noise to preserve the batteries. The XT version provides an extra 3 decibels of ANR and has 25 mm thick ear pads and a wider, more comfortable head cushion. Whereas the Stratus 30 operates on four AA batteries, the 30XT can use rechargeable nickel-metal hydride (NiMH) batteries that will charge from the aircraft system when the unit is plugged in. Although it looks similar to the more budget priced Stratus 30XT, the 50-D contains more noise canceling technology to give one of the best ANR performances in the premium headset market. Along with the 29 decibels of passive reduction, the 50 adds a further 20 decibels of digital tonal noise reduction and 15 decibels of analogue broadband reduction, bringing the total to 50 decibels of reduction. Most features are similar to the 30XT-thick ear seals, wide headband cushion, adjustable clamping force-but the Stratus 50-D has noise-sensing capability that will shut down the headset after only 5-7 minutes of low noise. The 50-D takes either four AA batteries, or draws power from the 8-32 VDC system in the aircraft. We were unable to test every headset featured, so manufacturers claims had to be relied upon in those cases. Prices are in Australian dollars unless specified. This list is not comprehensive; other units may be available via online purchase from international companies. Buying the right pilot headset is an investment in your skills and training. 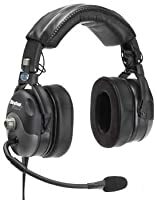 New pilots will benefit greatly from the advancements pilot ANR headsets offer. Learning to fly is hard enough, but clearing the noise to hear the tower certainly improves the experience. Be the first to comment on "Best ANR Headsets 2018 Buyers Guide"